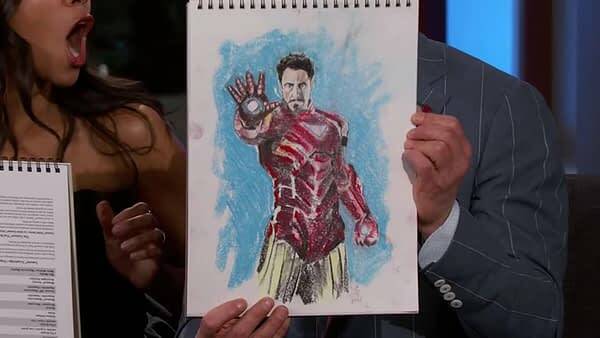 Remember how Jimmy Kimmel Live is doing all-Avengers all the time this past week? 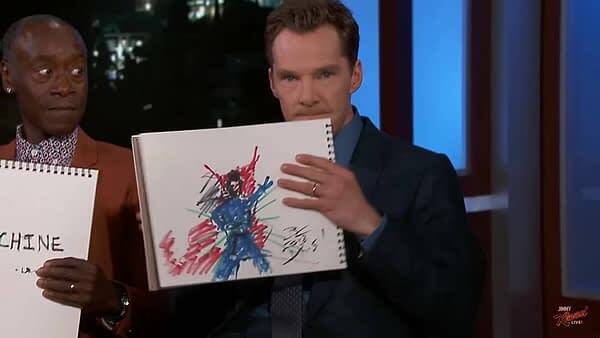 Well, along with the numerous adorable interviews and interesting factoids revealed on the late-night talkshow, there was also an art lesson. 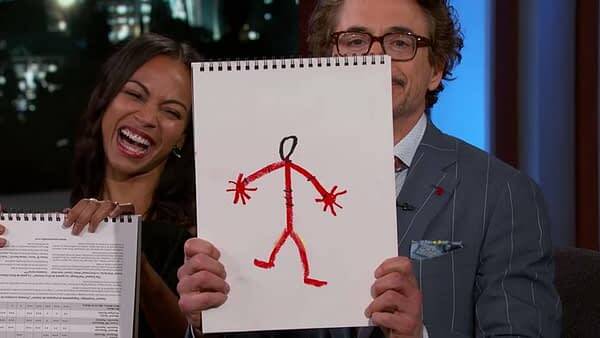 Specifically, the gathered cast of Angers: Infinity War were asked to draw their characters. This of course resulted in some pretty great pictures; from stick figures to muppets. 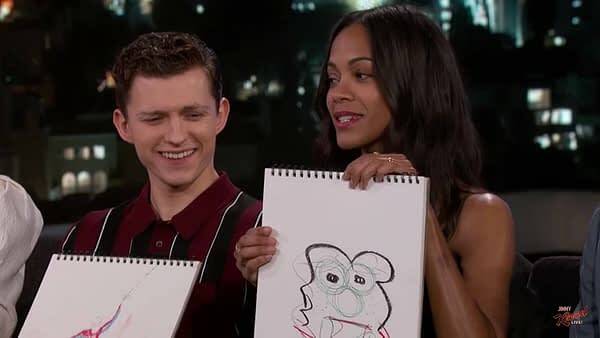 Then Zoe Saldana (Gamora) with….a muppet? 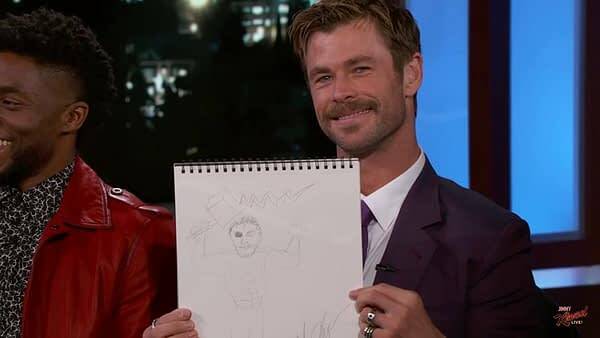 Chris Hemsworth (Thor) seems very proud of his one-eyed lightning god there, we notice the hammer is back. 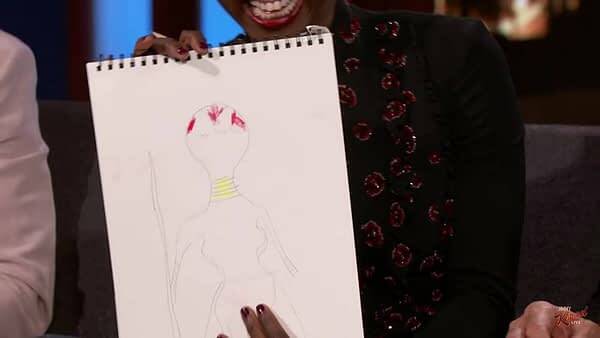 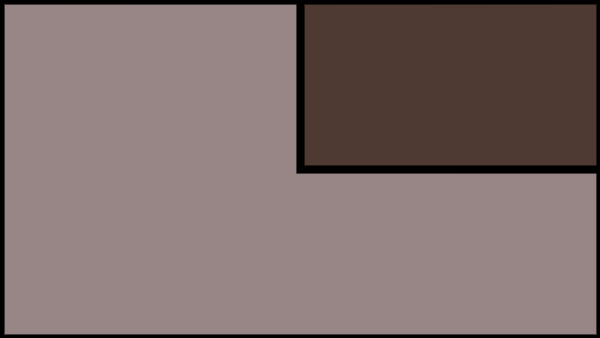 Danai Gurira (Okoye) got the color blocking down pretty well on the Dora Milaje general. 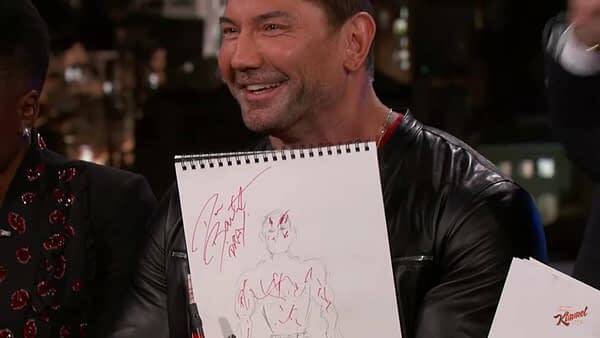 Dave Bautista (Drax) is all smiles, and obviously he’s signed a few autographs in his time. 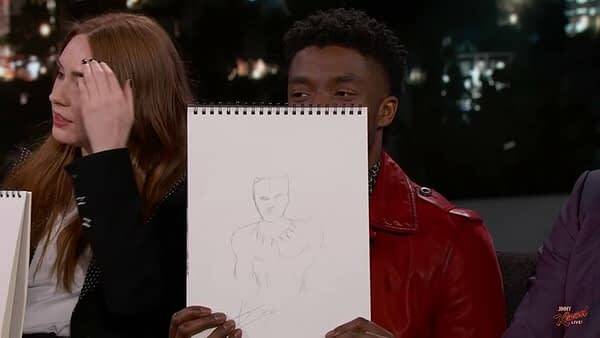 Chadwick Boseman (T’Challa) hides behind his Black Panther self-portrait, giving a little royal side-eye. 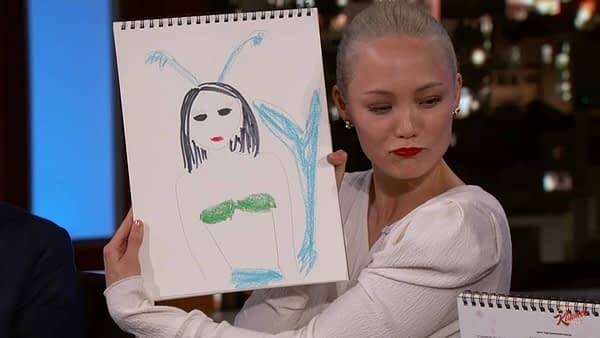 Pom Klementieff (Mantis) took the drawing very seriously, and also gave her character a mermaid tail. Robert Downy Jr. (Tony Stark/Iron Man) did two. Just kidding, this is his real one. 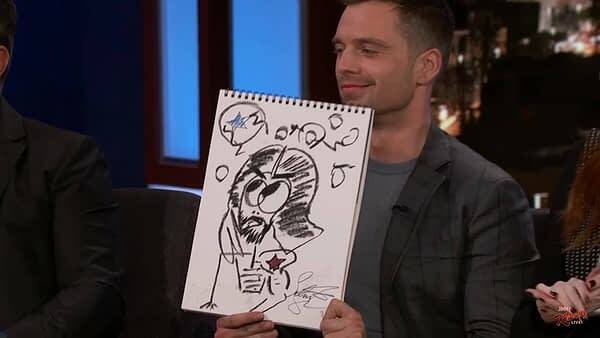 Sebastian Stan (Winter Soldier) went a more cartoony route, and we see drawn-Bucky thinking about his best buddy Cap there. 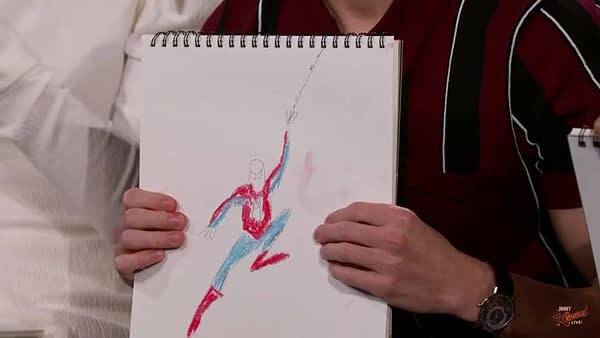 Tom Holland (Spider-Man) went the crayon route, and it almost looks like the first costume we saw Toby McGuire wear in Raimi‘s Spider-Man. 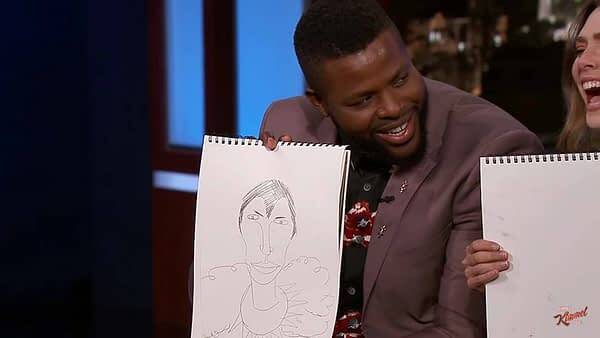 Winston Duke (M’Baku) really captured the….fuzzy collar. 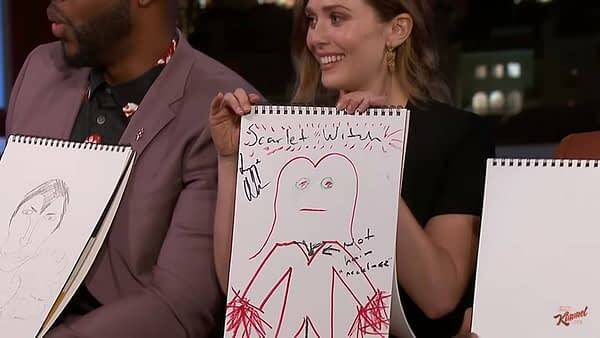 Elizabeth Olsen (Scarlet Witch) really highlighted her red powers. 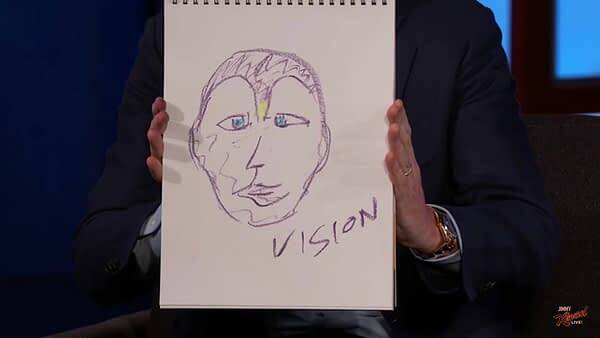 Paul Bettany (Vision) also worked in crayon, and maybe his robotic-android counterpart looks a little crosseyed, but we’re not judging. 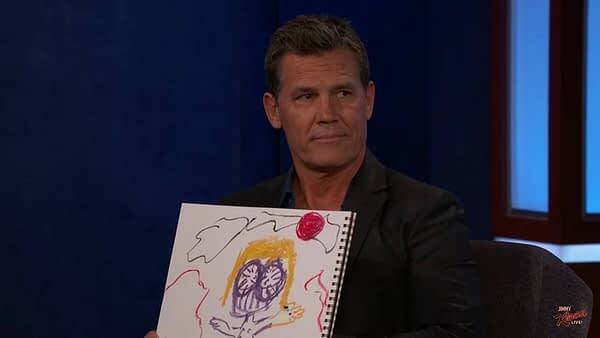 Josh Brolin (Thanos) went with the large eyes and gold helmet of his titan character, possibly during the Lunar Lob scene. 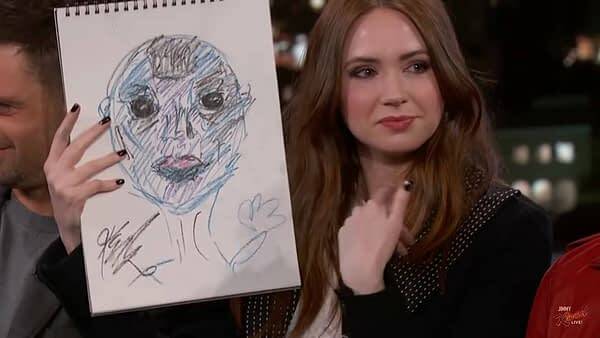 Karen Gillan (Nebula) really nailed the most dangerous woman in the galaxy’s eyes. 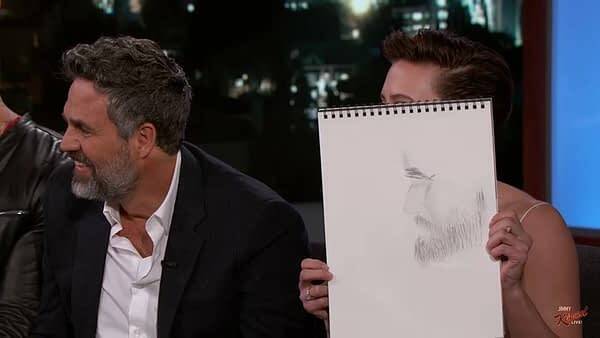 Scarlett Johannson (Black Widow) drew her neighbor Mark Ruffalo instead. 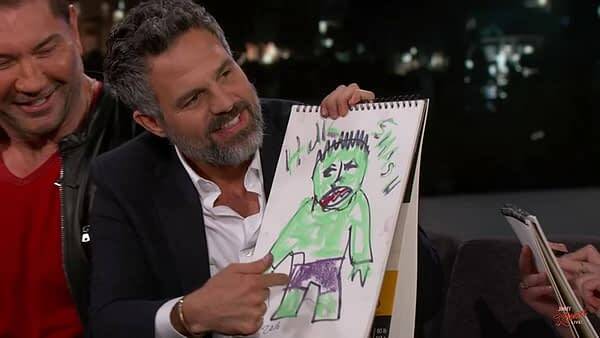 Mark Ruffalo (Hulk) looks really proud of his big green rage monster. 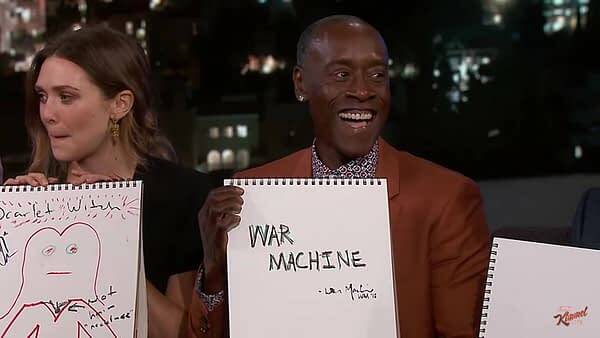 Don Cheadle (War Machine) totally cheated. 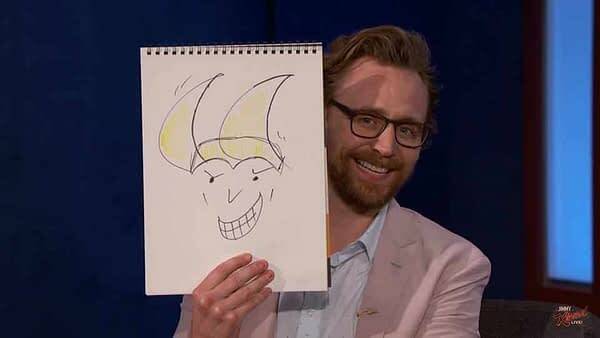 And Tom Hiddleston (Loki) kind of nailed it with that mischievous grin. Avengers: Infinity War is currently playing in theaters now.